Yes, you heard is right. 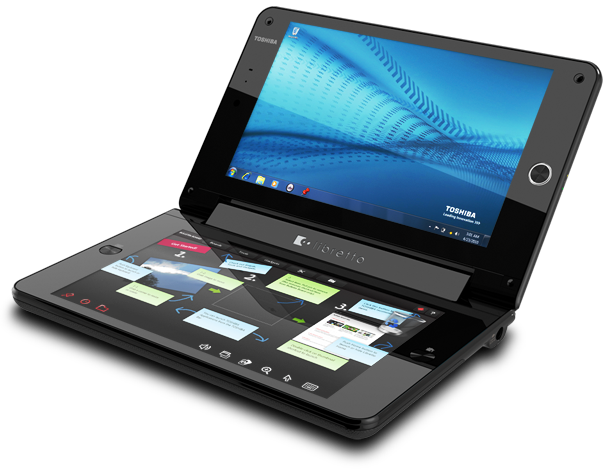 Toshiba has announced his new laptop called libretto W100, Which is having a dual screen facility in it. 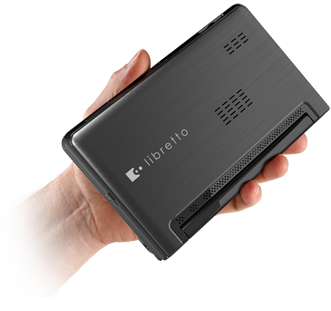 This libretto W100 may be a replacement for even your iPad too! seems this pc is designed for that purpose only. 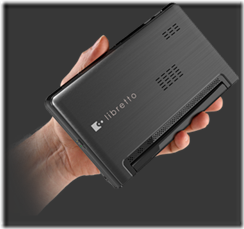 Libretto W100 is a mobile pc so you can take it to anywhere you want by placing it in your pocket. 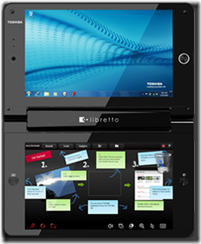 Here are the few feature, images and video of Libretto W100. 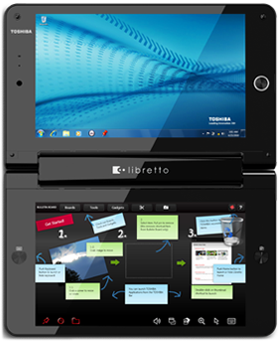 Dual screen: The first thing what we notice in Libretto W100 is it’s Dual screen facility (new technology). You can split working in both screens or do different works at different screen. Windows 7 Performance: This ultra mobile PC is small, but it is Powered by Windows ® 7 Home Premium, it offers familiar navigation and full multimedia capabilities. 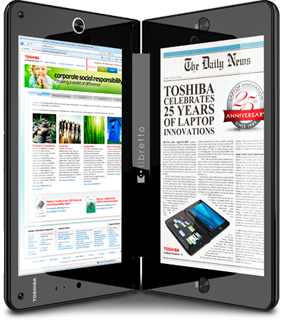 So now you can enjoy many different things—games, ebooks, movies, music and TV—from a single device. Hardware: It is Powered by an Intel Pentium U5400 CPU operating at 1.2 GHz, 2 GB of DDR3 memory and a 64 GB SSD, which makes it a fairly powerful machine. 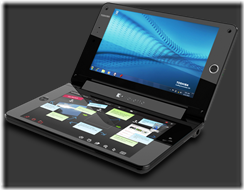 Other specs include a 1-megapixel webcam, Bluetooth, MicroSD card, Wi-Fi, one USB port, an 8-cell battery. 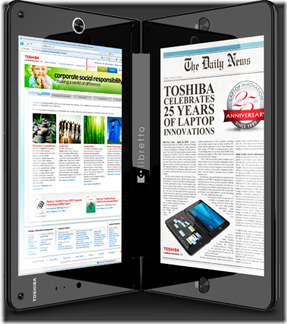 Cost Price: According to the engadget, it cost about $1,100. Oh.. it’s not for all! People are already saying it’s a iPad Killer! Apple need to work on now.